An ars prosaica, as it were, and a daybook of social experimentation. 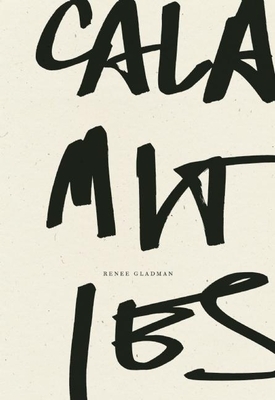 In these page-length essay-poems, each starting from the fixed-base "I began the day," Gladman deftly philosophizes the quotidian, writing about writing, writing about reading, writing about working, writing about teaching. My favorite passage describes onions in headily conceptual philosophical language, as a pungent sphere of spheres. I was reading a line in a book, then reading a line in another book, and performing small acts in between: I sat at intervals on the toilet, I slept sporadically, I ate kale and "fish food," and called myself "Renee" for a time. Nobody knew who I was at the grocery store, but going there was my big event. I knew the books of these people; I knew these people and I didn't change their names, but when they appeared in my books it wasn't really their stories I was telling, so they didn't need my protection and I could go "Danielle, Danielle" all day. Born in Atlanta, GA, in 1971, Renee Gladman studied Philosophy at Vassar College and Poetics at New College of California. In addition to Calamities (Wave Books, 2016), she is the author of eight works of prose, including the Ravicka novels Event Factory (2010), The Ravickians (2011), and Ana Patova Crosses a Bridge (2013), as well as a book of poetry, A Picture-Feeling. Her most recent work of fiction Morelia is forthcoming in 2016. A longtime publisher and bookmaker, her projects include Clamour (1996-1999), Leroy Chapbook series (1999-2003), and Leon Works (since 2005). She is the recipient of a 2014-2015 fellowship from The Radcliffe Institute for Advanced Study at Harvard University and a 2016 grant to artists from Foundation for Contemporary Arts. She lives in New England with poet-ceramicist, Danielle Vogel. Born in Atlanta, GA, in 1971, Renee Gladman studied Philosophy at Vassar College and Poetics at New College of California. She is the author of eight works of prose, including the Ravicka novels "Event Factory" (2010), "The Ravickians" (2011), and "Ana Patova Crosses a Bridge" (2013), as well as a book of poetry, "A Picture-Feeling." Her most recent work of fiction is "Morelia," a short novel forthcoming in 2016. A longtime publisher and bookmaker, her projects include Clamour (1996-1999), Leroy Chapbook series (1999-2003), and Leon Works (since 2005). A professor of creative writing at Brown University from 2006-2014 and a 2014-2015 fellow at Radcliffe Institute for Advanced Study at Harvard, she lives in Providence, RI, with poet-ceramicist, Danielle Vogel.